Travel shapes you in a way nothing else can. It can touch places within yourself that you didn’t even know existed. Nowadays travel is very prominent in our culture. In this post, I’m going to argue that we need to be taking more enriching journeys abroad. I think it’s important for people to venture outside of their bubble; to get out there and see the world with your own eyes. Getting second-hand information, like from news or social media outlets, is not enough. Everyone has their own biases, which makes it necessary for you to have your own experiences and form your own opinions. Please go discover the world for yourself. I’ve never met someone who’s regretted travelling, but people who don’t go almost always regret it. Here in BC, a short jaunt to Mexico or Hawaii is quite common. Short vacations in tropical destinations are now the norm. And even if you don’t go that far, summer road trips and camping, over a long weekend, are things that most people do. Taking time to relax and recharge is great, but that’s not what this post is about. What I’m advocating for is a longer authentic exploration of cultures different from your own. Long-term travel can be life-changing. I’m going to ask you to accept that statement as fact. The number of people whose lives have been changed by travel is staggering. Many people agree that their travels have helped shape them as a person. Some are even inspired to make travelling a fundamental part of their career. This can be done through a variety of ways, from content creation to new enterprises. YouTube, for example, is home to a myriad of travel channels. People are travelling all the time. You can find expats in every corner of this world. Evidently, many people have based their lives around travel. Which brings us to the point of why; why travel? I mean there has to be a reason behind this travel thing, right? Going to a Caribbean island with white sandy beaches in order to escape the cold rainy winter makes sense, most people can agree with that logic, but some travellers trade in balmy beaches for the icy tundra. So why do people travel? As you can see, people travel for a multitude of reasons. I’m going suggest that we all start travelling for long stretches of time and with more intention. Your next step depends on where you’re at. If you’re one of those people who likes to take all-inclusive tropical vacations, maybe take a step outside of the resort and chat up a local at the neighbourhood bar. If you’re a student like me, perhaps take advantage of a couple of weeks between semesters and go across the pond. Take a semester off and go backpack Europe; it’s a rite of passage after all. Or, even better, do an exchange or co-op abroad. Make your temporary home your base and travel on the weekends and/or after the placement/term ends. Most universities offer programs like these and not enough people take advantage of them. Why would you wait to finish your degree to go travel? Why not integrate it into your schooling if you have the option to do so. And if you’re one of the fortunate people who has already completed your degree, use your bachelor to your advantage! Go teach English overseas. There are also seasonal jobs you can pick up as you make your way RTW. Sometimes companies will even transfer you to one of their offices overseas. My favourite option is to become a digital nomad. For those who don’t know, a digital nomad is someone who can work remotely (ie. they just need their laptop and good WiFi). This is what I aspire to be someday. Many expats have adopted this lifestyle as well as long-term travellers (re content creators: bloggers, vloggers, etc.). There are many ways that you can accomplish your travel goals. Carpe Diem! Believe in your dreams and just go for it. What do you have to lose? Now’s the time to get your priorities in order. How do you want to live your life? What do you stand for? What do you want to leave behind? 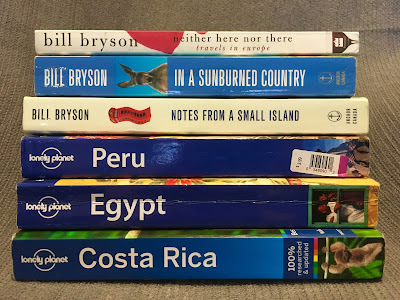 If you’re having some trouble answering these questions, I strongly recommend reading some of the books that I mentioned in one of my previous posts. Seek some expert guidance and reevaluate some life choices. Choose the life and travel plan that works for you. Whether that’s retiring early, taking a gap year or sabbatical, making a career change, or becoming a nomad; I encourage you to think about your next steps. Pop that bubble! It’s time to discover what the world really looks like. 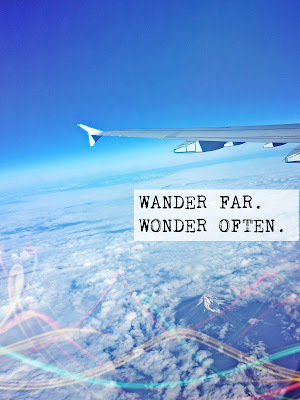 Indulge your wanderlust and go explore! 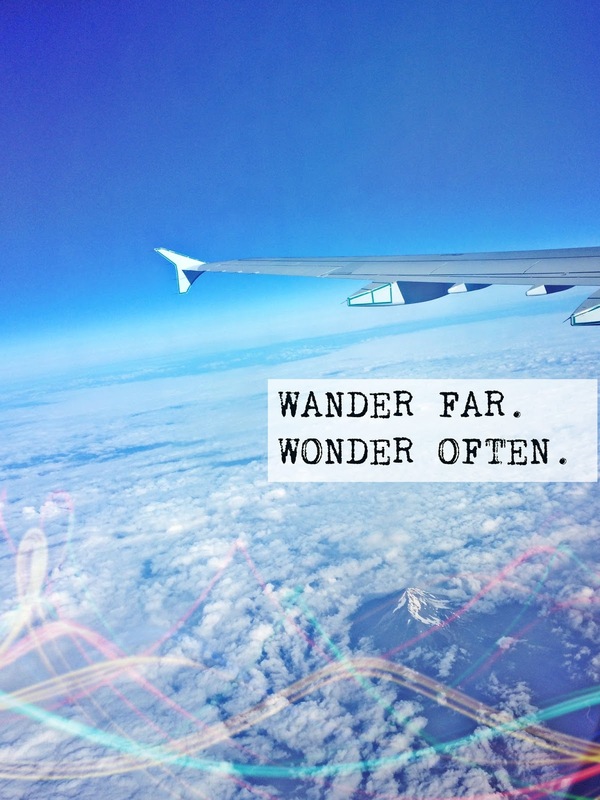 You have the urge to travel for a reason. Trust your gut and let go of any fear you may have. If you want it bad enough and are willing to work hard for it, you’ll make it work. If you need some inspiration to provoke you to take action, check out this compilation of travel quotes I found over at Expert Vagabond. Happy Travels!